Active Citizens Fund for Greece. The program, worth € 12m, funded by Iceland, Liechtenstein, Germany &Norway and is part of its financial mechanism European Economic Area (EEA) for the period 2014-2021. 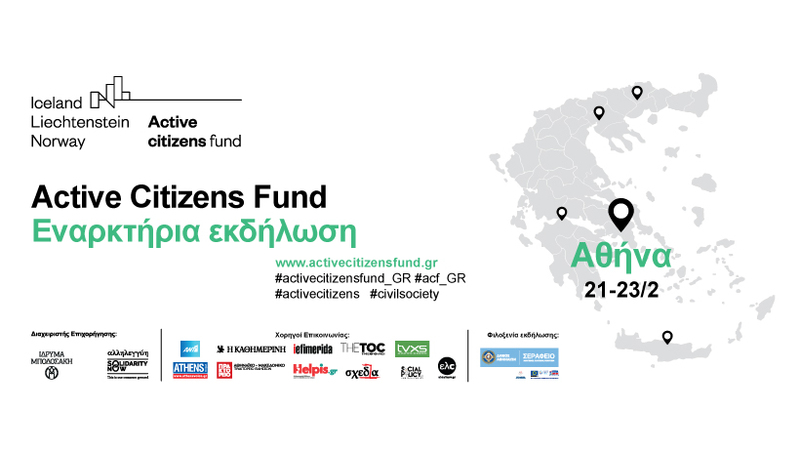 The opening event of the program Active Citizens Fund will take place onThursday, February 21, 2019, at 4 in the afternoonin Serafio of the municipality of Athens(Piraeus and Petrou Rallis, Ground Floor, Exhibition Area). To join, sign up here. promoting democratic processes, enhancing citizen participation and defending human rights. 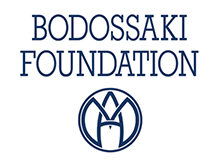 Managing the Active Citizens program Fund for Greece have been jointly undertaken by the Bodossakis Foundation and SolidarityNow. NGOs to write proposals for the Active Citizens Fund program.